Fact: MONEY (repeat: MONEY) is the number one cause of marital problems. Question: What role does money play in your life? Question: What role will money play in your marriage? If you've been reading my blog for awhile, you may have noticed that I do my best to be invitational in my proposals. As in, "here's something to consider..." Well, today's post is actually meant to say "WAKE UP. PAY ATTENTION. THINK ABOUT THIS." Consider a favorite heroine or hero. 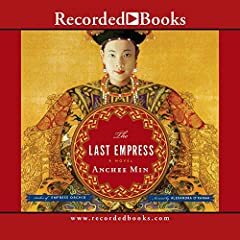 For example author Anchee Min's bestseller, Empress Orchid and her follow up, The Last Empress, tells the story of a poor girl from countryside of China who was chosen to be an Imperial concubine and eventually became an Empress. Public history has demonized this last empress, and Min endeavors to re-set history through scrupulous research and a magical retelling of the story of the woman who became the most powerful ruler of China and was perhaps the first feminist. The complexity of the story and the detail of Min's writing reveals a woman of incredible determination, dedication, and fascination. And, a study of author Min herself actually reveals the same. When reading Min's books, I found myself unable to put them down and full of inspiration in so many ways. All this to say, both the Empress and Min are current heroines of mine. By identifying your personal heroine(s) or hero(s), you can bring to light qualities and values that you currently hold high and feel inspired to instill in your own life. This information can then be transported into your vows. Example: I've identified "determination, dedication, and fascination" as values in these heroines that I admire. So, in writing my vows, I'd think about how I can use these very words and might come up with something like this: "In our life together, I will bring great determination to many things: to bettering myself as an individual; to carrying out our shared goals; and to facing challenges that arise. I want to make apparent my dedication to this promise through considered daily action that reflects strength of character. This is a priority to me, because there is nothing more important than my love for you and always proving myself worthy of your love." In the context of your relationship, what is your partner an "expert" in? Ask your fiance to tell you something of value that he feels he's learned from you. Then ask, how it is that you demonstrate this value in your life together, and what it is that motivated or inspired him to learned it from you. 1. You will feel appreciated and learn more about your significance in your partner's life. 2. You will garner an understanding of how you are, and can continue to be, a teacher in your partner's life. 3. You will garner an understanding of what motivates or inspires your partner to want to learn from you. 4. You will gain insight into how you learn from your partner. 5. Knowing that you have great substance to offer your partnership can inspire you to continue to offer up the best of yourself and serve your marriage well. Write down what you said and what you heard. All of the information that arises from this exercise provides great material for writing personal vows or a love letter to your partner. In addition to making "promises" in your ceremony, you can also include words about your "appreciation" for each other. How To Write A Hit Love Letter. Pop Star James Blunt's slow-burn, super-hit ballad, You're Beautiful, grew out of a diary entry. What's in your diary? There are probably clues to or stories about the deepest truths of your love. Pick one journal entry to retell. Or pick out a few sentences or even phrases you've recorded that describe the time you first fell in love and then the time you knew you wanted to become married. How beautiful that will be. Traditional wedding vows promise love "in sickness and in health" -- the clear implication being that one is bad (sickness) and one is good (health). Hard to debate really, we'd all rather be well than sick; but, consider that both are a natural part of human existence and that there are many conditions of health that fall in between the extremes of "I'm sick" or "I'm well." Further, sickness is not customarily a choice and can set up a burden factor in the relationship. The healthy partner can feel burdened by the unwell partner. And the unwell partner can be burdened by his/her own unwellness. So, rather than set up this framework of good vs. bad right from the start of a marriage, why not consider tweaking the language to support the natural ebb and flow of the body's condition and to support the aging process (growing old together) which naturally gives way to less than optimum health. We promise our love and devotion to one another "in all conditions of health"
"through the ebb and flow of the ever-changing condition of our bodies and minds." Are you wedded to life? Are you wedded to life? What do you most love about life that keeps you wedded to it -- on the best of days and on your worst days? Your answer can help you write your vows. - Write out a list of the ways in which you are wedded to life -- the things that motivate, excite and challenge you -- and then read your list to your partner. Now, if you ask your partner if he/she is willing to support you in bringing your list to life, the answer will probably be "yes." Generally, if couples are getting married, they are comfortable professing their love and support for each other. But the conscious couple will delve into the question of how exactly are you going to demonstrate your love, day in and day out? - One means of getting to the answer is to tell your partner what you know already about how you like to be nurtured. And then invite your partner to see if he or she can think of additional ways to support you in living your life fully. Make a list of the results to include in your vows. Now when you promise to love your partner forever, you can substantiate that promise with the many ways in which you aim to do that. And with your vows, you'll create stronger building blocks for marriage. Are You A Worthy Partner? How have you prepared your individual self for marriage? Are you a worthy vessel in your own right for life's expression ? Or perhaps there are ways in which you are hoping your mate will "complete you" and make you that worthy vessel. Contrary to popular thought -- or cinematic influences as the case may be, ie: Tom Cruise in the 1996 film "Jerry McGuire" -- if you are counting on your mate to "complete you," you are setting yourself up for trouble. There's a fine line between having a partner support you in being or becoming your own person and counting on that person to deliver the spark for you. Check in with your truth. Own it before your wedding day. Here's a question that can help. Include your answer in your vows. How do I intend to conduct myself in my marriage that will make me worthy of my partner? It's one thing to write vows full of promises, but will you be able to live up to them? "Living in integrity is when your actions and beliefs match." Vows are based on beliefs. But sometimes we struggle to live up to our beliefs -- and thus live up to our vows. Case study: Mark and Judy came to meet with me a year after being married because Mark couldn't deal with sickness and Judy had become ill a great many times in the past year. Mark loved Judy very much, but he wasn't ever taught how to take care of someone when they got sick and he felt repulsed by illness. He wanted to change but didn't know how. It was important to him to change because at his wedding, he promised to love Judy "in sickness and in health." He wasn't doing a good job of matching his actions to his promise. He was living out of integrity. This was making him feel badly about himself, and Judy was feeling abandoned. "I promise to care for you in all conditions in health. The truth is that this is going to be difficult for me because I am not comfortable with illness. So, I invite you to help me learn how to best to care for you -- by offering me gentle guidance during the times that you are well. This will give me steady ground for learning how to care for you when you are unwell and most vulnerable. I ask for your patience, and I trust that my love for you will assist me in this learning. I promise you that as your husband, I will show up for this task." Mark stated this new vow to Judy in a ceremony conducted just for this purpose, with a few close friends and family as witnesses. Integrity is on its way. How cool is that? Create a yummy imprint on your brain by feeding your partner a taste of your favorite candy just after you say your vows. Have a little flower girl bring in your sweets on a small silver tray. Feel the awesome sense of royalty that comes with being served candy on silver platter. And the sweet association between candy and your commitment to one another. Mmmmmm.